“There are starving children around the world and you are going to leave that food on your plate?” How many of you heard this growing up? I certainly did. It’s basically parenting 101, right? And it comes from a genuine place. You spend money and time preparing food for your family; you don’t want that to go to waste! Not to mention, it’s hard to know how much a child should be eating in a day. Here are some tips that should help encourage a healthy portion size for your kids! Before we jump into healthy portion sizes for kids, let’s first break down the difference between a portion size and a serving size. A serving size is a specific measurement of food. Often expressed in cups, tablespoons and grams, the most common example is the Nutrition Facts Label found on the back of food items. It is a comprehensive list of all the nutrients found in one serving of a given food item – it is not a recommendation. A portion size is any amount of food that makes it onto your plate. 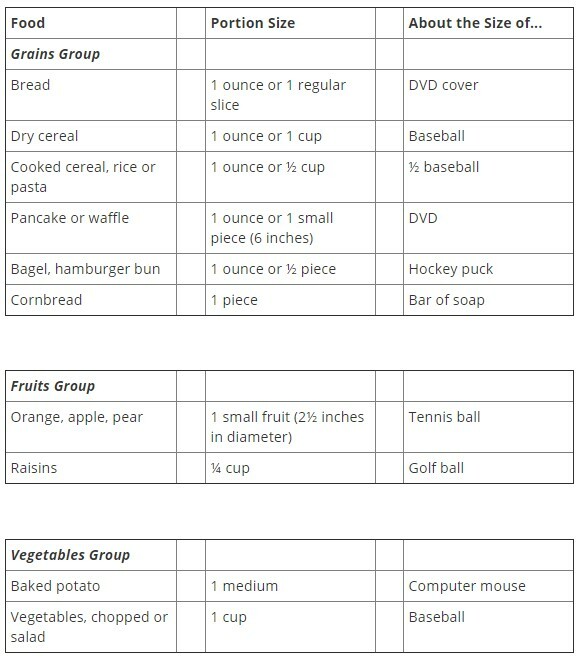 The Academy of Nutrition and Dietetics has a helpful guide to help determine healthy portion sizes, which you can find at the bottom of this post. How do we help our kids take in healthy portions? Taste When something tastes really good, a child may want to continue eating it despite being full. I think anyone who has had mac and cheese can relate to this one! Excessive Portion Sizes Providing a child larger portion sizes will often distort how much a child thinks they are supposed to eat. Social Influence This plays a major role in interfering with these cues. For example, if a loved one or friend tells a child to be a part of the “clean plate club” or that there are “starving children who aren’t fortunate enough to have this food,” that kid may go into override and eat beyond fullness. 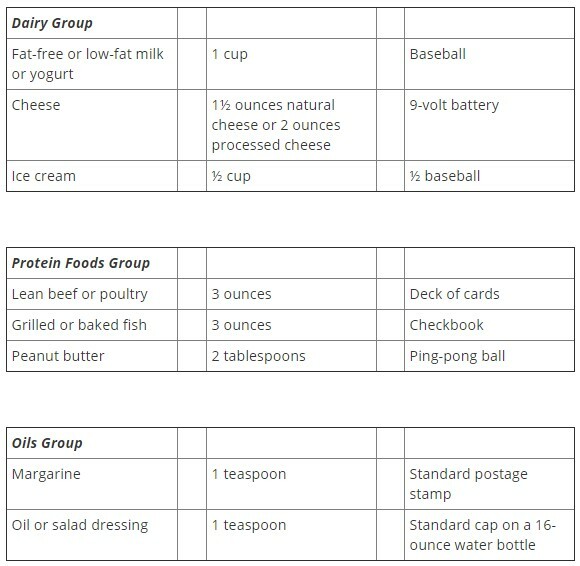 If you prepare the food in your home, try to consider portion sizes for each eater. Limit portions, and if a child says they are still hungry after their first serving, let them have more. Be aware of comments that encourage, pressure or possibly bully a child into overeating.